Will The Odds Be In Your Favor? Read On To Find Out! Sure, you could say Deadpool is having a huge summer. Don’t underestimate Neena Thurman, and don’t think of her as only Deadpool’s teammate. Imagine being able to control your fate, just by participating in the cause and effect of a situation. That’s the life of X-Force’s own Domino. The psionic mutant flips the odds in her favor with telekinesis resulting in good luck for her, bad luck for her foes. Not a bad ability to have in tough situations. While her real name is Neena Thurman, here she goes as Beatrice, seeing as how her existence is the result of a government breeding program called Project: Armageddon that used the precognitive mutant named Beatrice. The name Beatrice is an offshoot of the Latin “beatus” which means fortunate, and that is an apt description of Domino’s powers. Read up on the what makes Lady Luck’s fate always err on the side of good fortune. 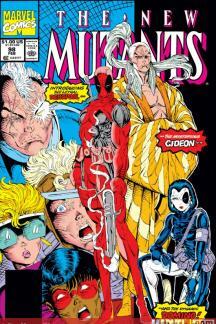 Just like her ol’ pal Wade Wilson, Domino’s first appearance was in THE NEW MUTANTS back in 1991. Or was it? Turns out she was actually a shape-shifter named Copycat but for the sake of argument, this is the first time readers get a glimpse of fortuitous mutant. In her very first series, we get a look at Domino’s origin story while she is on the warpath to save ex-husband Milo Thurman. Wolverine’s old foe Lady Deathstrike plays a big part in this series. 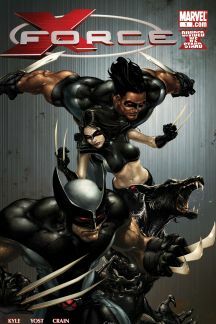 Cyclops calls upon Wolverine to lead a team called X-Force, made up of X-23, Warpath, Wolfsbane, Archangel and Domino. This violent alternative X-Men team goes up against the Marauders, pitting villains and heroes in a battle of epic proportions. 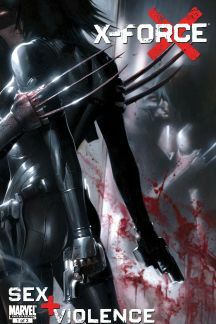 A team-up for the ages, Domino and Wolverine head out against all odds when the Assassins Guild puts out a hit on Neena. The title says it all–this book is filled with a lot of both. When you think about it, they’re a perfect match–Domino’s good fortune, Wolverine’s healing factor. Add in a whole lot of bloodshed and you’ve got a dynamic duo. 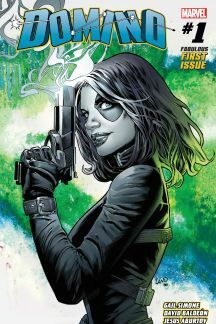 Not only is Domino back in featured in her own solo series, but she’s also solo in the sense that now she finds herself on the wrong side of the mercenary community and having to fight for her life. 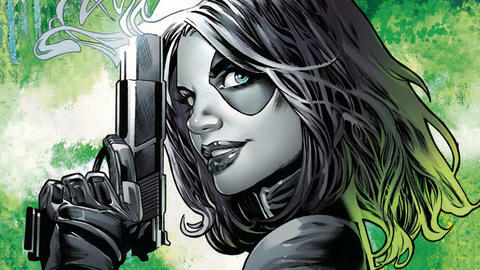 This series explores a stripped down version of Domino, but will her legendary luck see her through? 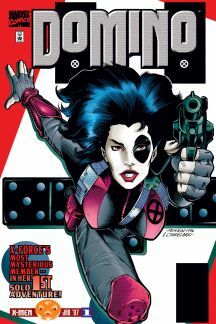 Can’t get enough Domino and want to read all these digital comics? Check out Marvel Unlimited!